My attempt at growing mushrooms has shown some great results. 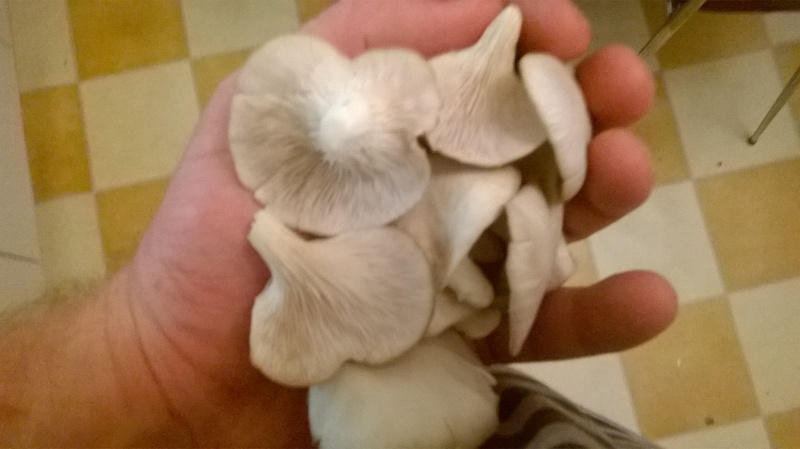 As I have mentioned, in post on Christmas Eve last year, I was going to attempt to grow two different types of mushrooms which I bought from a local market… mushrooms that had been harvested from the wild. I mentioned that I was going to throw the bases of the stalks into some coffee grounds. I have purposely not gone into too many details about the process I have used to grow these, apart from the off comment here and there. I had some success with this, only one of the mushroom varieties seems to have taken hold and is now producing mushrooms. I am really impressed with the growth I have seen, with the actual mushrooms growing about a centimeter a day. Now that I have produced a great batch of this Fungi, I will have to increase my production and make more (as many people are interested in trying this). I will also create some instructions for using the method. I have at least one friend here, who is an avid mushroom hunter, who would like to propagate some of the harder to find species himself. 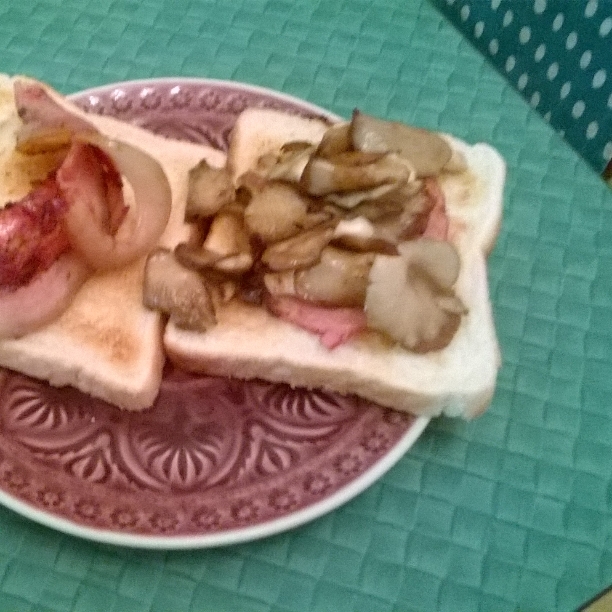 Enjoying a delicious lunch of my mushrooms and bacon on some toast. I have updated the 13 skills website with this achievement, yet I suspect the website is not being maintained. I wrote to Dorothy two weeks ago and I have still not heard back from her as to whether the website is still moderated.